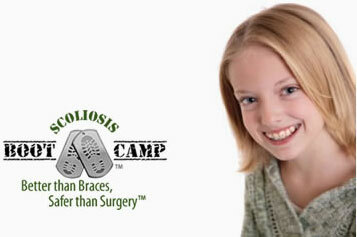 ScoliSMART™ scoliosis exercises help you or your child stop scoliosis progression so braces and surgery are never needed. All exercise therapies for scoliosis deserve some merit because they aim to correct the condition by retraining the body instead of forcing it to be straighter. Their goals of improving quality of life and reducing pain levels also deserve credit because too often treatment only aims to improve the curve measurement on an x-ray. 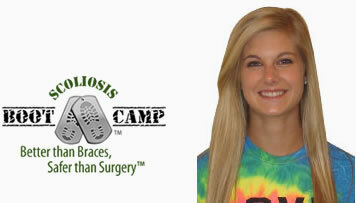 Alternative scoliosis treatment is logical since both braces and surgery increase pain and have poor long-term results. 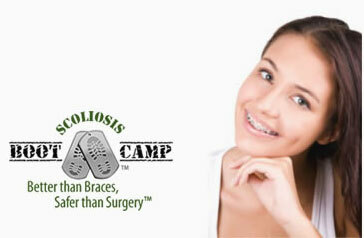 Scoliosis exercise treatments are widely varied. Some focus on breathing mechanics and function. Others use mirror-image type exercises to straighten the scoliosis. 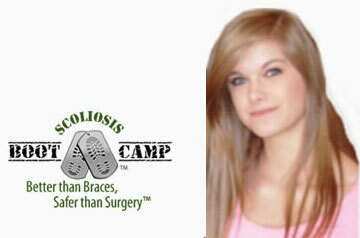 Another type focuses on using anti-scoliosis postures while you do normal daily activities. The exercises that stimulate subconscious automatic postural control centers aren’t the ones you would see in gym class. They’re balancing exercises in which small amounts of weight are put on the head, torso and pelvis. These exercises help the brain perceive a different center of mass, or balancing point, for that part of your child’s body. The brain sends out an automatic response to re-balance the new center. This creates a re-alignment of the entire spine. 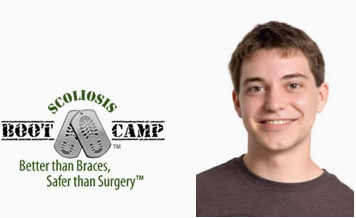 The Auto Response Training concept isn’t radical; it’s just fairly new to scoliosis treatment. But it works 100 percent of the time because everyone’s brain stem is wired the same and responds predictably to this re-alignment of balancing points. Auto Response Training helps people of all ages and curve measurements because it halts scoliosis progression and reduces curvature. But it has the most tremendous results in children whose curves have not reached 30 degrees. 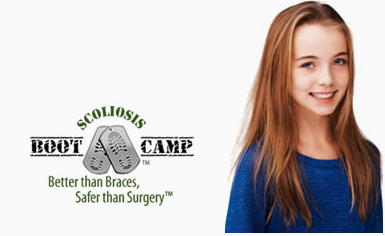 Your child’s curve will likely never reach 30 degrees if he or she adheres to the ScoliSMART™ Early Stage Scoliosis Intervention Program. Mild curves are often reduced to less than 10 degrees (barely noticeable). 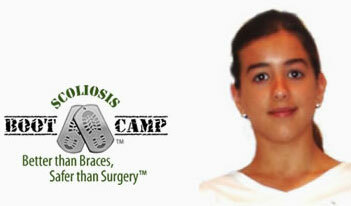 Untreated, scoliosis often progresses to 45 degrees or more, which is when doctors start recommending surgery. This is extremely frustrating because the same doctors typically suggest you “wait and watch” your child’s mild scoliosis (curves less than 20 degrees) to see if it’s progressing. ScoliSMART™ doctors never recommend waiting. Early intervention is crucial because scoliosis has a “coil down” effect that skyrockets the chances scoliosis will progress after curves reach 30 degrees. Scoliosis’ pattern of bending and rotation changes and accelerates when a curve exceeds 30 degrees. Like a twisting rubber band, increased torque makes the spinal curve twist and bend even more. No one knows exactly why this coil down effect happens, but it appears to be connected to adverse mechanical tension on the central nervous system, the brain and the spinal cord. The opportunity for spinal correction is much greater before this crankshaft phenomenon of rotation and torque starts because the spine is more flexible. Thus, we stress early intervention. The ScoliSMART™ Early Stage Intervention and Treatment begins with a five-day outpatient program at one of our clinics which kick-starts the crucial neuromuscular retraining. It also includes ongoing home treatment, goals and assessments of improvement and stability. We also provide guidance to help you decide if sports and activities like dance, swimming and gymnastics are potentially harmful for your child. The goal is for children with scoliosis to have a normal childhood, so we don’t recommend eliminating activities they love. However, we may suggest that they limit exercises that cause a flattening of the mid-back, such as back bends. 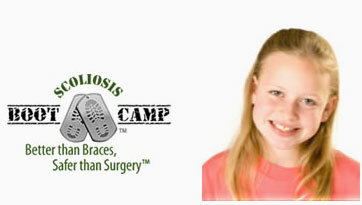 Your child’s scoliosis is not the exact same as any other child’s. 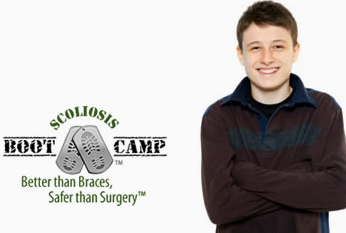 At the ScoliSMART™ Clinics, we treat your child as an individual, not a condition. 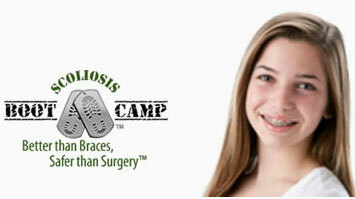 Contact us today for more information on exercises that stop curve progression.